There’s something about summertime that makes me want to venture out and do something a little different with my nails! During fall and winter I tend to stick with solids, but once the warm weather hits suddenly I want bright colors and fun patterns for my mani! I’ve been gathering some nail inspo lately and had to share a few that I’ve found plus a few of my recent favorite manis, so hopefully you get some ideas too for your next trip to the salon! Love these fun graphics! It makes every outfit a little more exciting with a bold, fun mani. When you can’t decide on 1 color, so you do them all! Love these neutrals together. 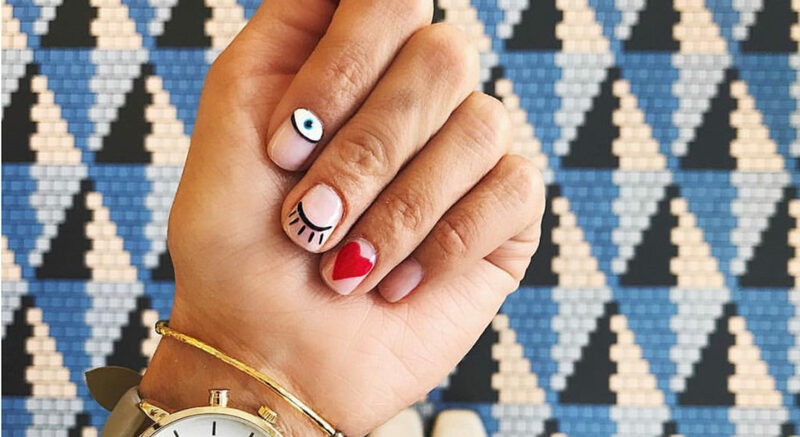 A peek-a-boo graphic on one nail for when you aren’t ready to commit to full graphics. A little spin on a reverse french tip. Love the neon colors in this mixed-match set! All about the chrome for summertime. It looks so pretty in the sunlight! 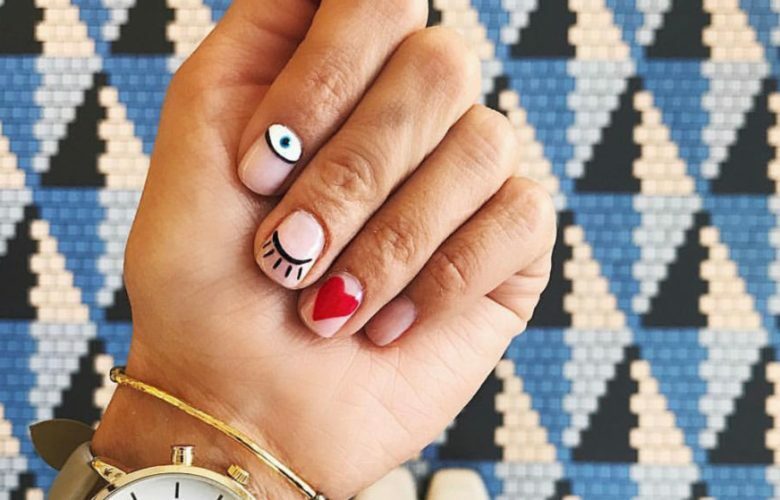 Have you guys tried the naked nail trend yet?! I’m obsessed! Loving patterned nails too. How cute are those stars?! What’s your favorite nail trend right now?